Hey everyone! The Halloween party has arrived and I am excited on what we'll get to do this month. Aunt Arctic ushers us into the spooky party that has just arrived. She explains stuff about weird things happening. Read more below. Did you know that the anniversary party is going on now at the Coffee Shop? 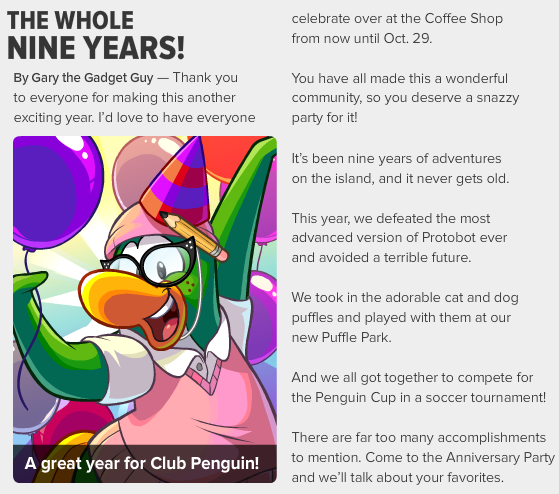 It's been nine years since Club Penguin opened and now they're celebrating once again. 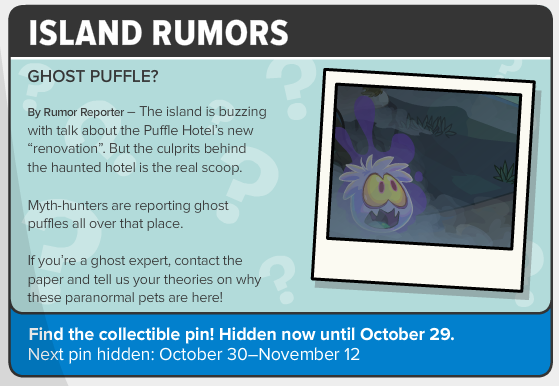 Rumors, rumors and rumors! 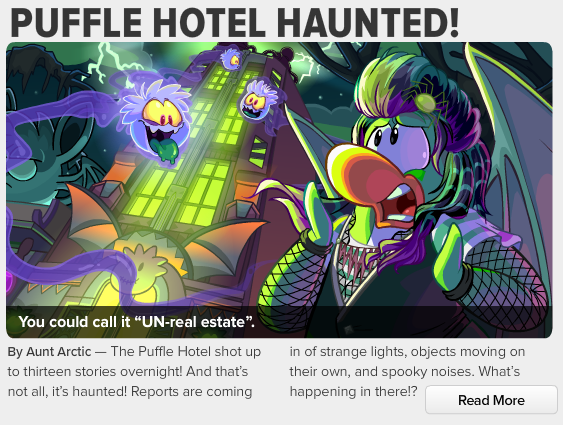 Reports of ghosts wondering around the island and......wait...IS THAT A GHOST PUFFLE? !